Our dedicated team of highly qualified doctors and nurses are ready and willing to help manage you and your family's general healthcare needs. With 16 doctors of varying nationalities and specialties at our practice in Albany, we are confident you will find a doctor suited to you and your family's needs. It's your health. Manage it online 24/7 with Health 365. Apollo Medical will take your appointments online to save you time and hassle. Apollo Medical offers specialised medical services for Immigration, Pre-Employment, Insurance, Diving and others. 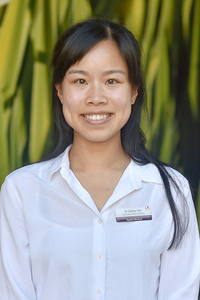 Dr Debra Yeh has joined the Apollo Medical team, and is open to enrolling new patients. Dr Yeh was born in Taiwan, but moved to New Zealand as a small child. She completed her schooling on the North Shore, and graduated from the University of Auckland in 2015. Debra is bi-lingual and speaks English and Mandarin fluently. She particularly enjoys working with children and young parents. She worked in Starship and North Shore Hospitals following her training, and more recently practiced as a GP in Hokitika and Greymouth, in the South Island. Debra enjoys working at Apollo Medical, as she can serve the community in which she grew up. In her spare time, Debra enjoys being with her family and friends, as well as going for walks and reading. She also loves to bake! Dr Debra Yeh is now completing Immigration Medicals at Apollo Medical also. Apollo Medical are pleased to participate in the New Zealand Government funding initiatives to increase people's ability to access primary health care, by offering lower priced general practice and ACC visits for children under 14 years of age and Community Service Card holders. Please find more information about the Meningitis vaccines by clicking here. Asian Family Services (AFS) provides free, professional, confidential, nationwide face-to-face or telephone support to Asians living in New Zealand. A patient portal for online services is available at Apollo Medical for enrolled patients. Do you want to book your appointments online, request repeat prescriptions online, see your lab results, send a question to your health team, and much more. Well you can, read on to find out more. We have developed a patient visit sheet which some people have found useful in identifying which problems are the most important for them during their time with the doctor or nurse. The carpark at Apollo Health & Wellness Centre is now limited to 180 minutes. Cars parked longer than this and not displaying an exemption permit will be infringed with a $65 parking fine. This is intended to keep the carpark free for patients and customers of the building only. Unauthorised parkers leaving their vehicles in our carpark all day will be infringed.